Third Person Press: Flashpoint Campaign is Live! Our Indiegogo campaign for Flashpoint went live today! You may remember our campaign for Grey Area last year, which helped us immensely in producing a wonderful anthology of Cape Breton ghost stories. 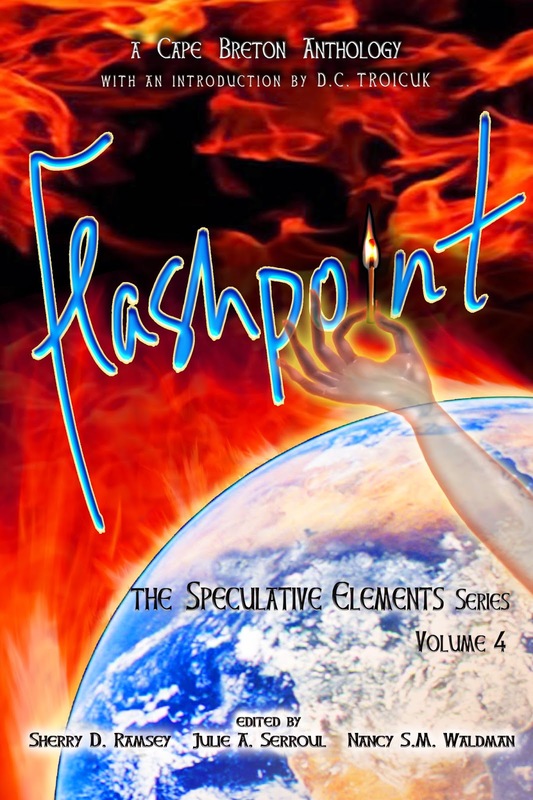 Flashpoint is volume 4 in our Speculative Elements series. Each book contains a wide and varied mix of science fiction, fantasy, paranormal, and horror stories for the speculative fiction fan, and its predecessors, Undercurrents, Airborne, and Unearthed have been popular and successful. We have another great lineup of stories in Flashpoint; some old friends from other volumes, and some new voices. The campaign offers a variety of perks to help thank you for your support. Please visit the campaign page and see what appeals to you. Your support means a lot to us! Thanks for believing in the power of the small press!